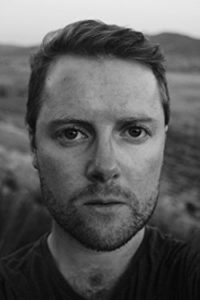 Henry Martin © 28 May 2018. In 2012 I was working for the publisher Phaidon Press, when I watched a video interview with the artist Agnes Martin, whose work Untitled #7 (1980) is in the collection of the Hugh Lane Gallery in Dublin. The artist was speaking slowly about the most abstract, but universal, ideas—innocence, joy, happiness, and beauty—and her delivery, and its impact, was trance-inducing. I was so taken with this character I thought I might put her (or someone like her) in a play, for at the time I was moonlighting as a playwright. However, there was little information available on her life, and the details I did amass encouraged me to consider the form of prose, not drama. I kept digging, and began a correspondence with Jina Brenneman, the co-curator of Agnes Martin: Before The Grid (2012). Jina, with the artist Kathleen Brennan, was recording a series of oral history interviews with many of Agnes’s oldest friends. These became the foundation to their documentary Agnes Martin Before The Grid (2016) which I ended up working on. However, back between 2012 and 2014, I decided to leave my job at Phaidon Press and travel to the U.S. to conduct my own research on the artist. Agnes was the ostensible reason I went to New Mexico in late 2014, but with hindsight I see I wanted to have an adventure, escape routine and regain a sense of purpose. It was a high-risk move. There was no guarantee I would discover anything of interest and I wasn’t sure I could write extended prose; prose that could transport a reader and alter their point of view, if even for a moment. All I knew was that I would return to London at an unknown date with no job and scant savings, making life even harder on myself. These entries were part of a process that helped me decide I would write a biography. My research method would be scholarly but the story would be accessible. It would be a composite portrait of an everywoman; somebody who achieves success with so many odds stacked against her: her gender, occupation, social status, sexuality and schizophrenia. I thought: who doesn’t constantly work at establishing a life that works for them? In this way, I saw her story as a universal one, and I still believe this to be the case. Flash forward to 2015. I am back in London, working in publishing, and pitching a draft of the book to publishers and agents. Publishers, big and small, show some interest. I get this far on my own because I have a background in marketing and sales and I can cut straight to the chase, distilling the book’s USP, talking about print numbers and distribution channels, as well as retail opportunities. These are subjects I know about, and this knowledge is both my strength and Achilles’ heel; I sometimes get confused with the hats I wear: author, salesperson, agent, marketer. Throughout all of this I frequently turn to friends and colleagues, who are a constant source of goodwill, advice, and encouragement. Strangely, I’m never despondent. 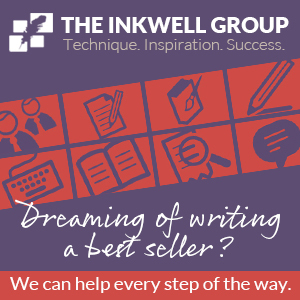 After all, nowadays, self-publishing is a viable and excellent route to connect with readers. In December 2015, just when I thought I had exhausted all options, Kate Johnson at MacKenzie Wolf decided to represent the project. Like most twists and turns in the path to publication, this should never have happened. A friend recommended MacKenzie Wolf (it was then Wolf Literary Services) and I contacted Kate because her profile mentioned she enjoyed art. My e-mail, I later learned, initially went unnoticed, until one day, searching her inbox, Kate spotted Agnes Martin’s name in my subject line. Had I not included this, it’s unlikely Kate would have opened the e-mail and replied. Eight months later, in August 2016, the project was contracted to Schaffner Press, an independent American publisher. In spring 2018 it finally made its way to bookshops. 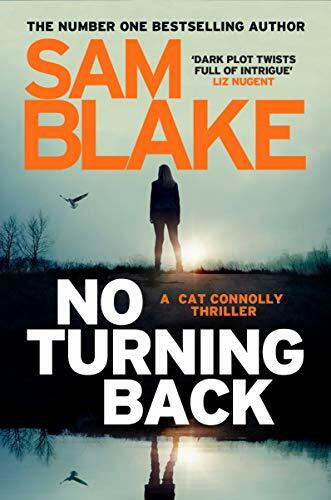 Even though I have worked in publishing since 2010 I was not fully prepared for my new role as an author: the highs and lows. Sometimes my concerns were overwhelming and like most writers working fulltime I struggled to find a balance in life. Perhaps I would have given up on Agnes a long time ago if it was not for constant encouragement from friends, and also the unbudging feeling that I was doing something new; making what Agnes might call a “unique” contribution. The process often felt very lonely, but the final book is the product of the effort and generosity of many people: curators, artists, academics, family and friends of the artist, and Schaffner Press. I write in the book’s afterword that the journey I had taken in New Mexico was not the journey I was on. For me the best rewards of this project occurred long before publication. By taking myself away to a new landscape and challenging myself as a writer I was investing in, and believing in, myself. That was a wonderful feeling, and not the natural state for me, or most other writers. It was exciting to be at forefront of new scholarship and research, and I met and befriended many wonderful new people. It sounds sentimental, but these rewards offer fulfilment in a way a physical object can’t. I’m deeply happy, thankful, and surprised that Agnes Martin: Pioneer, Painter, Icon made it into the world, but it is just one product of my journey and my fascination with this person and her art. At some point every writer has to relinquish control of their work, but an underlying hope remains: that the story is good, that justice has been done to and for the subject, and that the work brings joy to the reader. AGNES MARTIN (1912–2004) ranks among the great artists of the Twentieth Century. Bridging Abstract Expressionism and Minimalism, Martin forged a unique vision, creating sublime paintings she hoped would inspire universal feelings of joy and happiness. Yet, despite critical and commercial success from the 1960s onwards, Martin lived an intensely private, solitary life; and, while her work has been examined in previous books, her personal life has yet to be fully explored— until now. In this ground-breaking biography, award-winning writer and art scholar Henry Martin reveals for the first time the extraordinary and touching story of this unassuming, ambitious woman. Throughout her life, Martin’s gender, sexuality, profession, social status, and schizophrenia made her an outsider. The author’s own interviews with her family, friends, and lovers, chart her story from the pioneer plains of Canada, to the desert of New Mexico and New York’s bohemian circles where her transformation from outsider to icon was hard-won. 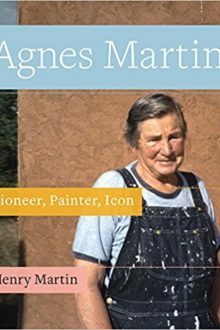 Certain to be a mainstay for readers of the arts, and admirers of the creative spirit, Henry Martin’s intimate portrayal provides deep insight into Agnes Martin’s character and motivations. Revelatory accounts of her early life, combined with unpublished photographs from Martin’s family and friends, make this an essential biography of the artist.